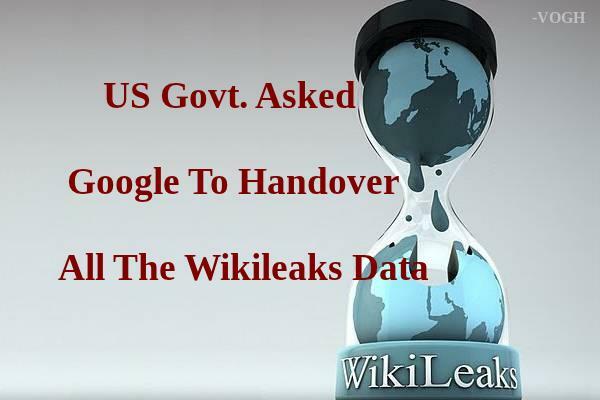 The U.S. government has asked Google and Sonic to give up any WikiLeaks-related information and data, following with an order for them to turn over hacker Appelbaum's e-mail contact list -- without a warrant. In 2006, infamous international non-profit WikiLeaks set out to publicly expose the government's most classified information. More than 1.2 million secret documents were released in the media group's launch after their first year. Led by activist Julian Assange, several of their releases have received worldwide recognition, yet their mission has been met with global criticism from those who do not support the site's agenda. Over the next few years, the WikiLeaks submission system would be occasionally suspended as the organization's leaders underwent federal investigations. To this day, the legality of what WikiLeaks is doing remains undetermined. The contradiction lies primarily in WikiLeaks' status as a "protection intermediary," as Assange puts it. In other words, they do not directly leak information to the press, but rather receives the documents from external whistleblowers and, in turn, leaks the documents on their behalf. 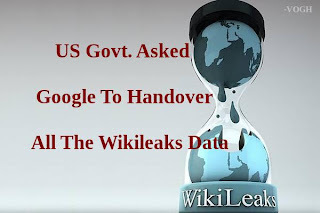 Multiple governments have since been attempting to criminalize Assange on grounds of thievery. As a result, he was later represented by computer security researcher Jacob Appelbaum in July of 2010. Now, the U.S. government has gone as far as going after Google and Sonic for evidence to further prosecute. Inevitably, this brings us back to the biggest question of our tech-centric age today: the legality of companies storing user data. According to the Electronic Communications Privacy Act, court orders can extend to collect an individual's online and mobile information without providing any notification. Opposing lawmakers hold the position that this violates our Fourth Amendment right guaranteeing the protection from unreasonable searches and seizures. Thus far, this matter remains unsettled as it has been decided on a case-by-case basis. To this end, Appelbaum's current case sheds light on the ongoing disagreement over governmental access to civilian digital information. WikiLeaks operates on the basis that users have the ability to submit information anonymously, but if policies like this become strictly enforced, this could be the end of such independent organizations. What WikiLeaks aims to do and how they do it may be condemned by many, but, as far as history is concerned, has there ever been a medium devoted solely to exposing the real truth to us? More importantly, is this what America needs?